Description: Diamond Dotz Facet Art Kits produce a stunning shimmery effect. The high quality color print is permanent, waterproof and fade and scratch resistant. The diamond like facets and strong bond adhesive ensures the dots stay in place over time. The Diamond Dotz Patchwork Heart Kit is an starter level kit that includes a printed fabric piece, sorting tray, applicator tool, wax, and Diamond Dotz pre-sorted by color. The printed fabric piece has a heart with multi colored stripes. Printed fabric measures approximately 4.7 x 4.7 inch. Design size is 3 x 3 inch. 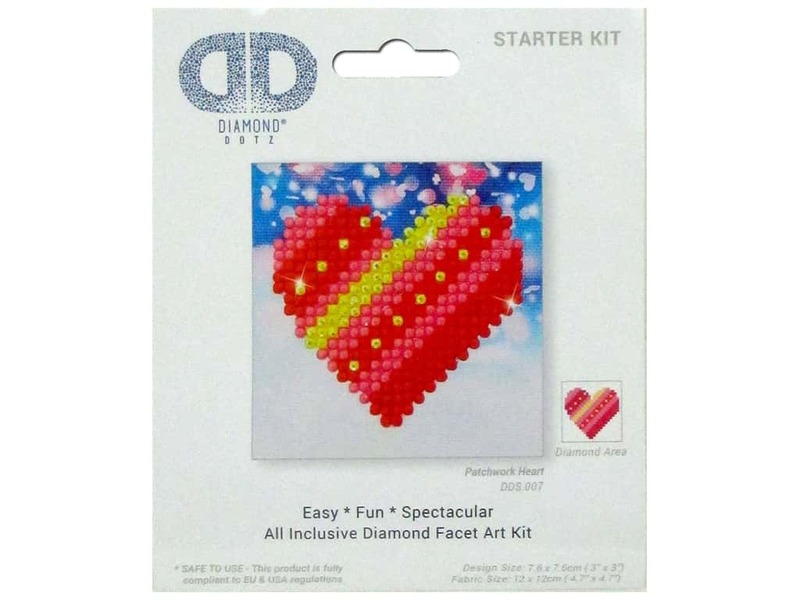 See more Diamond Dotz Facet Art Kits.